" It's always been a bit of a mystery to us about the enduring appeal of the Hillman Imp. Having grown up with our miserable next door neighbour polishing an immaculate version every Sunday for at least fifteen years - from "
With the extensive feedback from last month’s ‘eighties’ feature thread, we decided this morning to have a look at that old French fancy the Renault 5 Turbo. Stone me if you weren’t right, dear readers, the pocket rocket was indeed a very cool car. Mid-engined, and packing around 180 horsepower, this was of the same philosophy of that other nutty supermini, the Metro GR4 – and in fact, must have inspired its creation. Reminds me of a kid I went to school with who wrapped his dad’s version of the car (which looked almost exactly like the car in the gallery) into the middle of a roundabout, some time in 1986. Thing is, you never saw that many of these around back in the day – they were always pretty elusive, so it didn’t leap out at us as being anywhere definitive of the eighties. 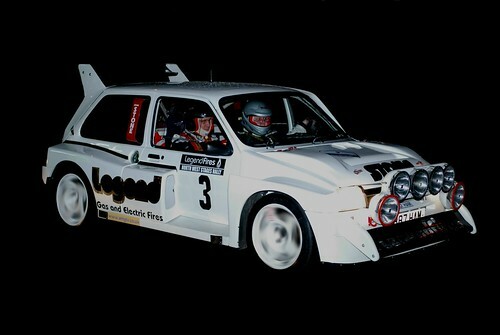 Some great period footage below featuring Jean Ragnotti in A 5 Turbo at Monaco and other spots. Oooh La La!
" When it comes to motorcycles rendered with classic craftsmanship, you don't get more classic or more craftsmanlike than BMW early fifties staple the R25. Looking at the simplicity of the thing leaves us little wonder that there's a backlash against "
"We've never been Harley Heads here at Influx towers. That thumping noise. That vibration. That rough build quality. But of late we've been perving over Harley's vaguely caffed-out seventies lowrider the XLCR 1000. Nods to cafe racer styling aside, it was "